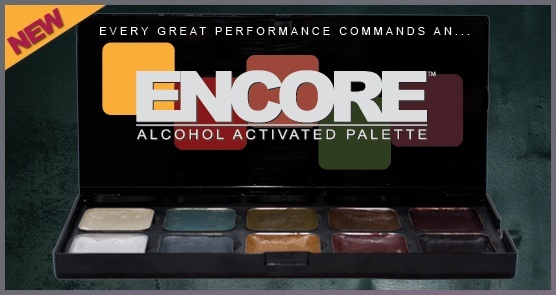 “There’s not one thing I like about Encore palettes… it’s LOTS of things! 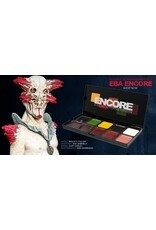 The quality of the palettes themselves is the best I’ve seen. 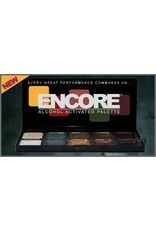 Sturdy and cleverly constructed packaging that contain high quality product with concentrated and tenacious pigments that last. The devilishly simple but ingenious magnetic tray system that gives me the ability to choose my colours and create the palette I need reducing the need to cart about a bunch of palettes just to service one make up. 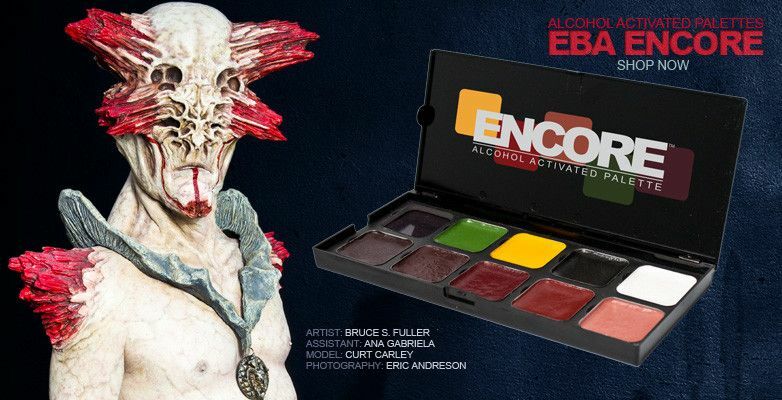 EBA have taken the palette from an expensive disposable consumable item and turned it in to a trusty tool that works with and for the make-up artist”. 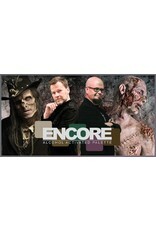 “Most of my prosthetics work is character make up, disguises, character change and ageing so my choice of colours across the ENCORE FLESH and AGED palettes compliments this. Prosthetic make up is rubber devoid of life. 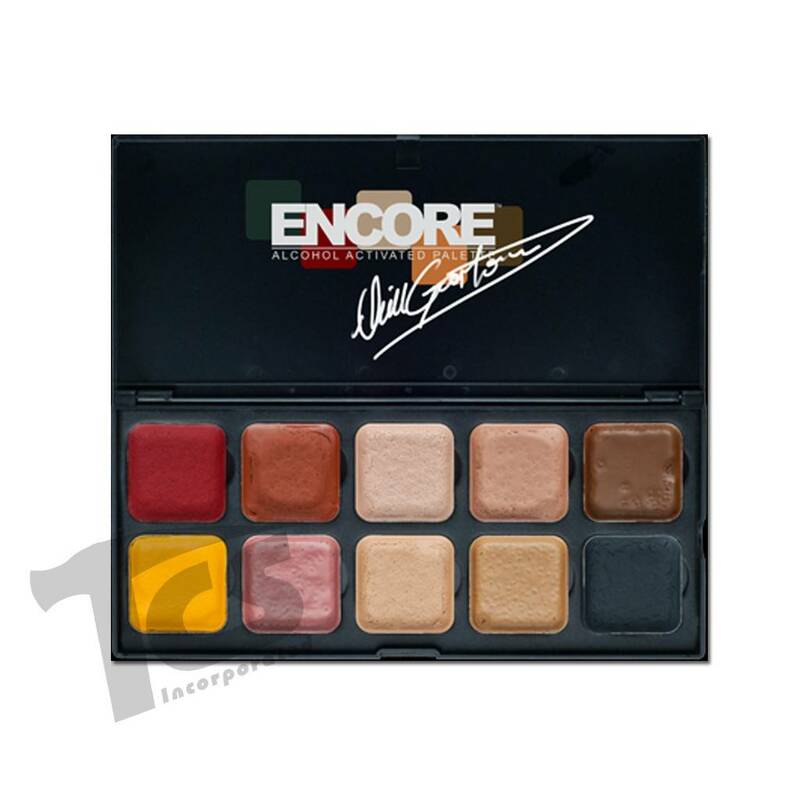 I needed a palette that could breathe the life in to any appliance by taking it from an intrinsic flat base flesh tone and add the warmth and soft variations seen in a healthy individual. Once you add the life you then build character”. 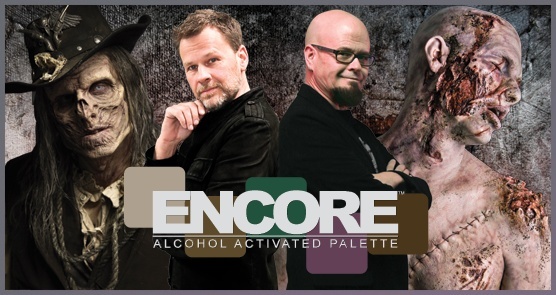 By building off of the reputation of its liquid predecessor, Endura, Encore Alcohol Palettes provide unparalleled durability, high pigmentation, and realistic results.